Plagueburst Crawlers are lumbering, formidable siege tanks whose huge ram-blades, thick armour plating and daemonic energies provide them with incredible resilience. 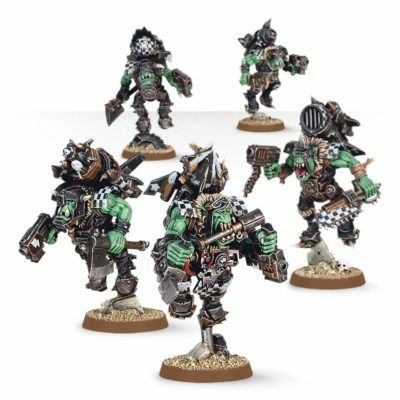 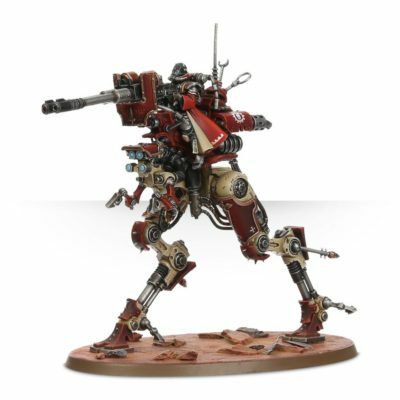 Their fearsome plagueburst mortars boast a parabolic fire arc and terrifying range, while the shells they fire combine high-radius explosives with lethal clouds of corrosive spores to inflict damage comparable to that of Imperial Demolisher cannon. 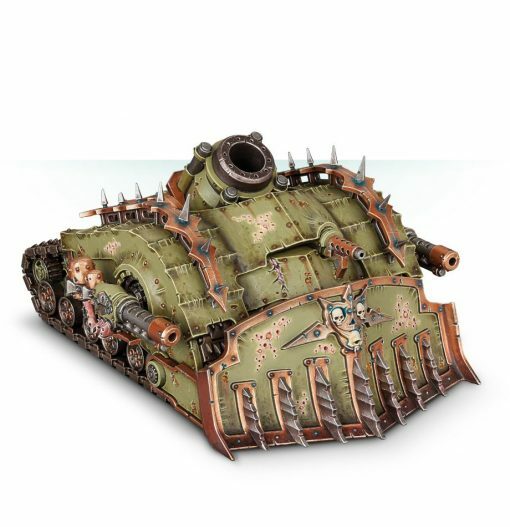 The remainder of the Crawler’s weaponry is intended to slaughter the foe up close, spraying diseased slime and hails of vital shells at any who approach. This multi-part plastic kit contains the components necessary to assemble a Plagueburst Crawler. An extremely front-heavy tracked dozer brimming with horrible weaponry, it is covered in thick armour pitted and rusting with corrosion and decay. 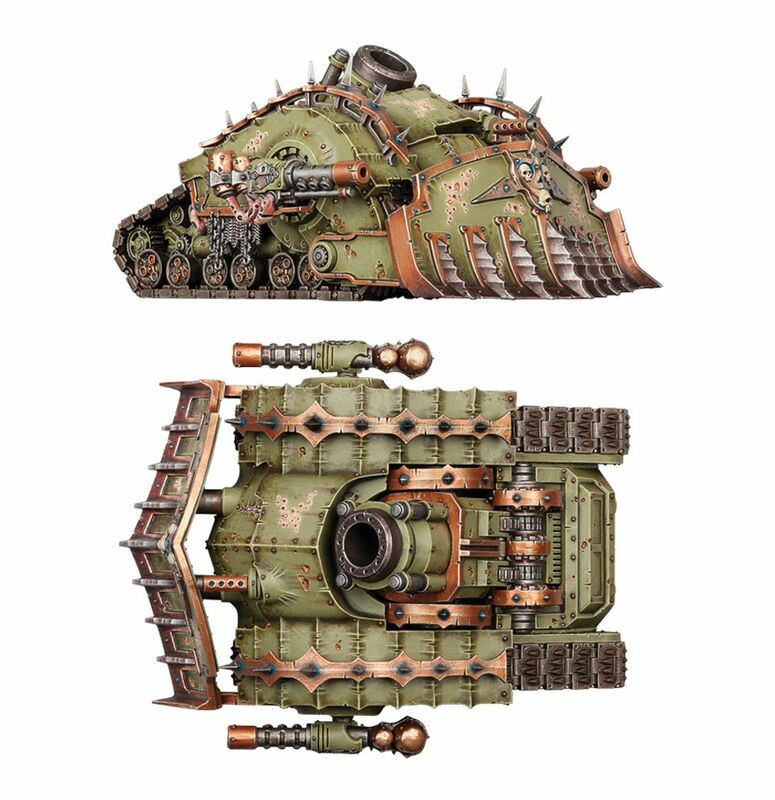 A standout feature is the huge, spiked dozer blade, with a symbol of Nurgle proudly displayed, picked out in skulls. 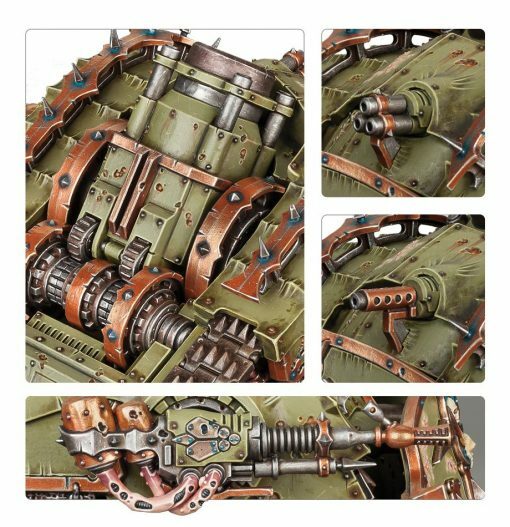 It bears 2 plaguespitters on the sponsons, which you can replace with the 2 included entropy cannon, and the heavy slugger at the front-centre can be replaced with a rothail volley gun – each option is equally potent, but the biggest worry to the enemy is undoubtedly the plagueburst mortar, whose targeting mechanisms and enormous barrel dominate the rear of the vehicle. 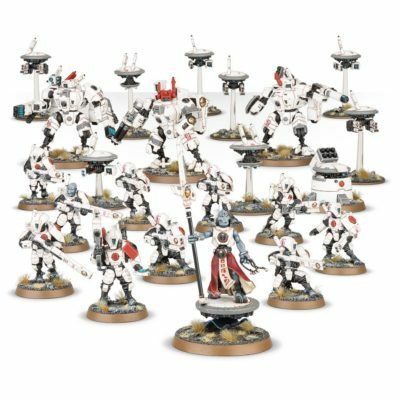 This kit comes as 71 components.